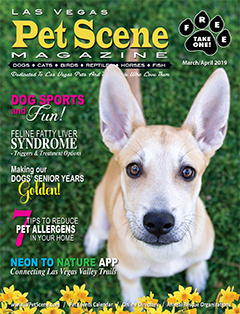 The Las Vegas Pet Scene Magazine is dedicated to the Pets of Las Vegas and the people who love them! We love the animals or pets we’ve invited into our hearts and homes and who have become family. We, however, love all animals and though we can’t invite them into our homes, they occupy a space in our hearts and we are concerned about their well being and welfare. Periodically under the Animal Welfare tab we’ll post items of interest, concerns and “Calls to Action”. March 2019: Exciting news from the state of Ohio – Senate Bill 86 makes shelter pets the official state pet in an effort to raise public awareness. Five other states have rescue or shelter pets as their state pet: Colorado, California, Georgia, Illinois and Tennessee. According to the Humane Society of the United States Texas and Oregon are also considering this designation. Ohio was also in the news in October 2018 for passing a new anti-puppy mill law (HB506) which is one of the strongest laws nationally dealing with puppy mills. It establishes standards of care for commercial dog breeding. The law deals with the sizes of cages and kennels, states that dogs must have daily exercise and enrichment activities. Dogs must be kept in a clean environment and be provided with good food and water. It mandates routine veterinary care, limits the number of times a female can be bred, and that only healthy dogs can be bred. In addition it requires retailers selling puppies in Ohio to get them from breeders who meet the strict standards. The new law provides protection for the dogs; helps prevent animal cruelty and abuse and provides for civil penalties and allows local law enforcement officials to pursue criminal charges. In 2018 Ohio ranked as the second largest puppy mill state in the country. With the passage of this bill Ohio is becoming a leader to help bring the end to puppy mills and animal cruelty in commercial dog breeding. This law is viewed as model legislation for governing animal cruelty with “backyard breeders”, puppy mills, and online sales of pets. It establishes guidelines and standards for these activities. The real key to eliminating these types of animal cruelty lies with the consumer or the purchaser of puppies and pets. It is based on supply and demand. There is a huge supply of shelter pets available; we must all do our part to increase the demand for shelter or rescued pets. 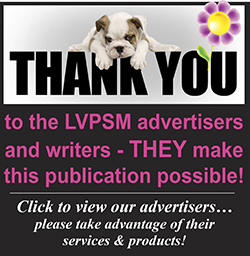 First, it is important to increase public awareness of the reality of puppy mill cruelty. A good start is to share the horrors of puppy mills with our family, friends and contacts. Second, promote and encourage adoption will help increase the demand for rescued pets. Share the joys and benefits of pet adoption on your Facebook and social media pages to change the perception that shelter pets are damaged!